The industry's top choreographers want to work with your studio! When you join the CLI Studios Partnership Program, your studio will work with 80+ of the industry's top choreographers in every style of dance. With continuing education for your entire staff, and master classes and choreography for your students, our Partner Studios around the world are more inspired than ever! Check out a few of the choreographers you can work with as a Partner Studio below. tWitch teaches Hip-Hop for CLI Studios. He's known for his work on SYTYCD, Step Up 3D, Hairspray, Stomp the Yard 2, and Ellen. Kathryn teaches Contemporary for CLI Studios. She's known for her work on Dancing with the Stars, SYTYCD, Step Up Revolution, and the DanceMakers convention. Allison teaches Contemporary for CLI Studios. She's known for her work on SYTYCD, High School Musical, and Dancing with the Stars. Teddy teaches Contemporary for CLI Studios. Teddy has worked on SYTYCD and Dancing with the Stars, and has performed with artists like Lady Gaga, Usher and Janet Jackson. At CLI Studios we’ve worked with thousands of dance teachers around the world, helping them with choreography, lesson planning, and teacher training. Through our experiences, we've found that most dance teachers struggle with the same three challenges with continuing education and inspiration: "I don't have time!"... "It's too expensive!"... "It's hard to stay to up to date!" We know it's tough to stay creatively inspired throughout the year. As a CLI Studios Member you have access to 150+ hours of online classes, tips and techniques to inspire your choreography, warm-ups, and combinations. When you join CLI Studios, you can take class whenever you want - at your own pace and on your own schedule. You can access the CLI Studios online classes 24/7 from our website or app. Pause...rewind...and watch them over and over again. At CLI Studios we're committed to helping you stay up-to-date on the latest trends. Our faculty of 80+ top choreographers are at the forefront of dance across every genre, and they're providing our Members with the latest tips, tricks and techniques every week. All your dancers are on Snapchat...or Facebook, Instagram and Twitter. The current generation of young dancers is so familiar with technology and learning from screens that it presents an amazing new opportunity for dance studios. 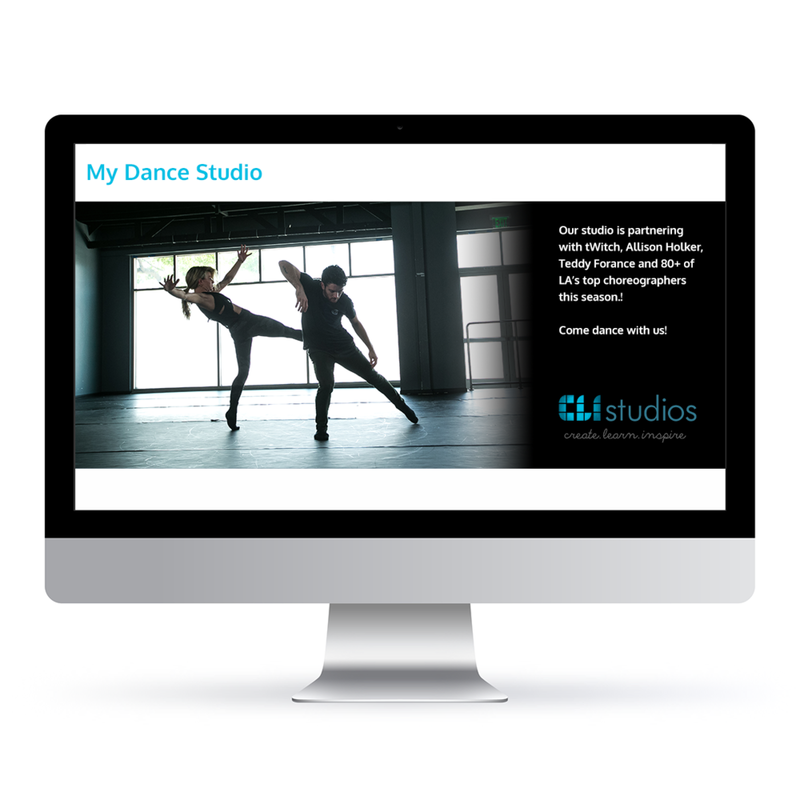 When you get set up with CLI Studios as a Partner Studio, you can affordably connect your dancers with training from their favorite choreographers, at your studio and on the go. With CLI Studios, your dancers can take classes from So You Think You Can Dance, Dancing with the Stars, and World of Dance choreographers right in your studio! Our digital video platform allows you stream live, pre-recorded, and interactive online master classes with over 80 of the industry's top choreographers using a TV or projector. With CLI Studios you can host a hip-hop grooves class with tWitch, work on pirouettes with Nick Lazzarini, and learn a new contemporary combo from Kathryn McCormick - right from your studio! As dancers ourselves, we know that feedback is a critical part of dance training. That's why we created an innovative new online learning program that allows your dancers to get personalized instruction, feedback, and choreography from the industry's most in-demand choreographers. 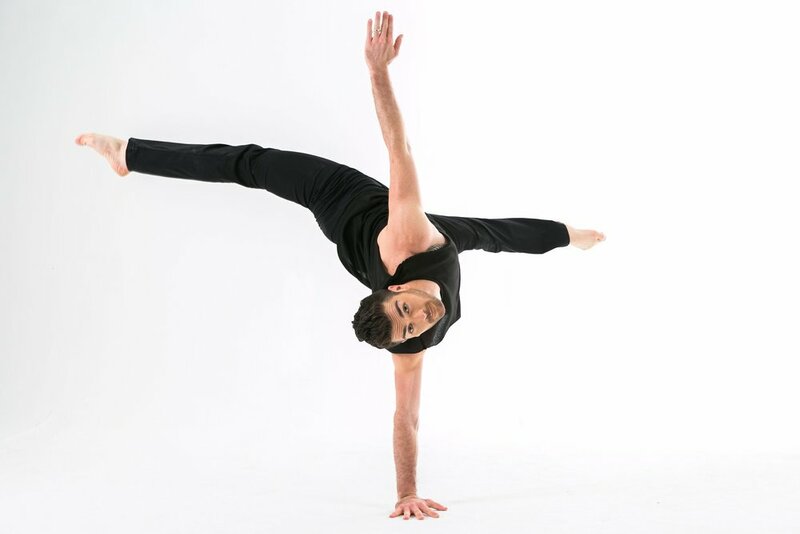 No travel required - you can work with top choreographers right in your studio when you partner with us! Dancers are mobile...it's hard to find a dancer these days without a smartphone in their hands. And with YouTube and Instagram packed with dance content, they can be learning anything, from anyone, without oversight from qualified dance instructors. With the CLI Studios app for dancers, we can provide you with the confidence of knowing what your students are learning when they leave the studio - all taught by world-renowned choreographers. We provide you with social media marketing resources throughout the season. 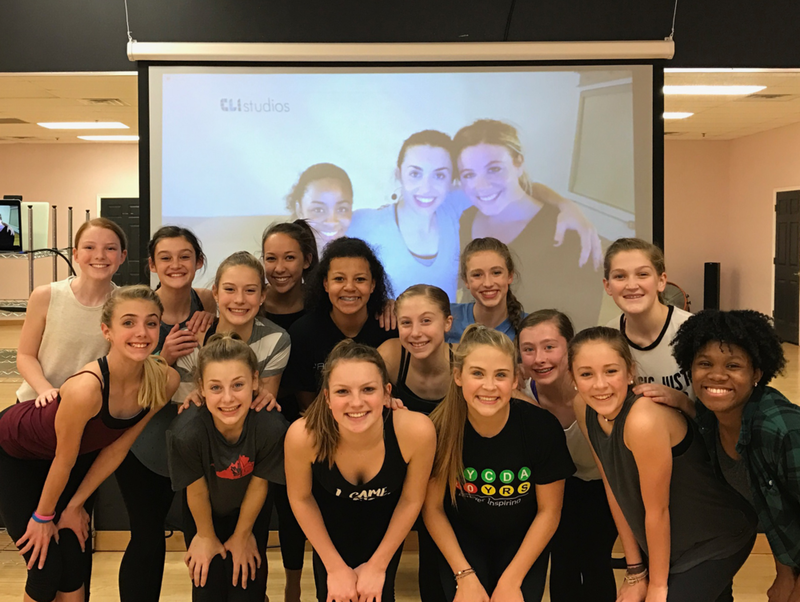 You can post about the classes you're hosting with tWitch, Allison Holker, Kathryn McCormick, and the rest of the CLI Studios faculty on Facebook, Instagram, and Twitter! Let your community know that Teddy Forance, Nick Lazzarini, Kenny Wormald, and the rest of the CLI Studios faculty are teaching at your studio. Advertise our affiliation on your website and social media. You can even mention the CLI Studios choreographers as adjunct faculty! Our choreographers love hearing about all the awesome work you're doing at your studio. 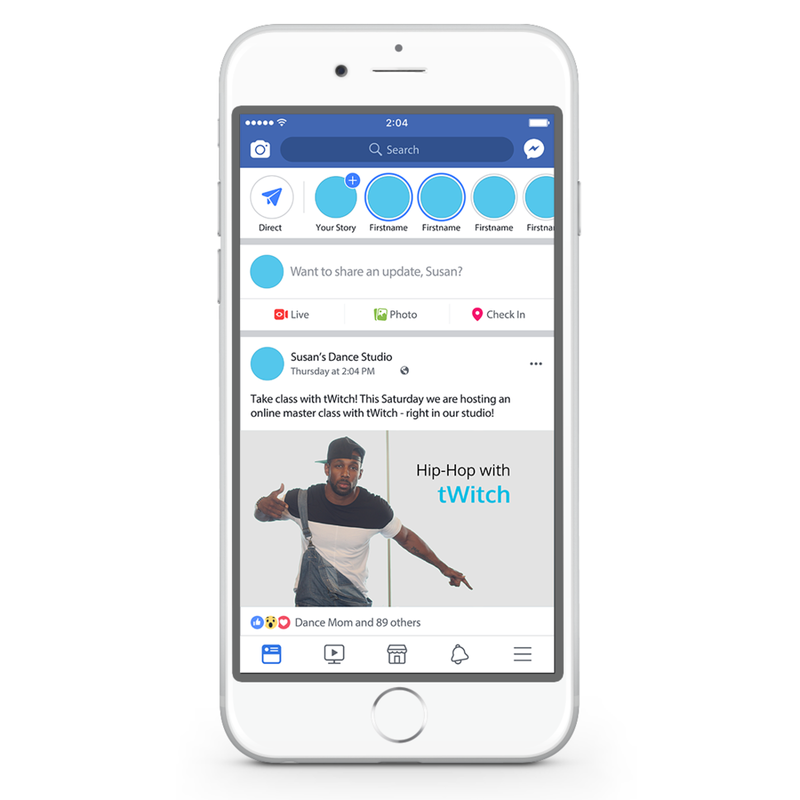 Send us pictures and videos of your dancers and we'll promote your studio on social media!